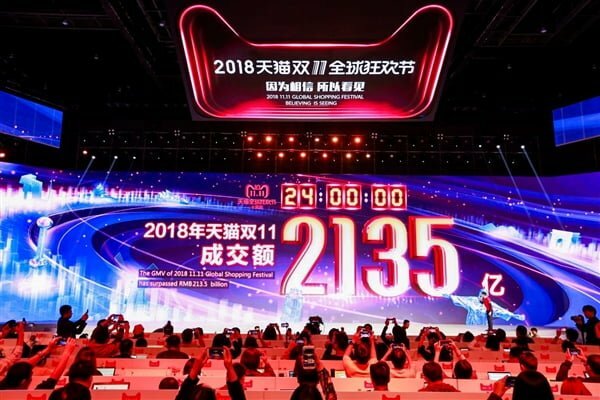 The tenth Tmall Double 11 shopping festival finally reached a record turnover of 213.5 billion yuan, which was contributed by 180,000 brands from all over the world. Among them, 237 brands exceeded 100 million yuan, and they were among the Tmall double 11 Billion club. The turnover of 8 brands has exceeded 1 billion yuan. They are Apple, Xiaomi, Huawei, Midea, Haier, Nike, Adidas and Uniqlo. This year, Tmall double 11 opened, multiple brands broke out instantly, opening only one minute, Nike, GXG, Apple, Xiaomi, etc. turnover exceeded 100 million yuan , to 12 noon, Apple and Nike took the lead to break through 1 billion yuan. In particular, Apple, which has been screaming for a fortune, has sold more than 1 billion yuan for both iPhone X and iPhone XS Max. According to Tmall statistics, brands that have sold more than 100 million yuan a day cover clothing, beauty, jewelry, mobile phones, home appliances, home improvement, maternal and child care, personal care, home cleaning, automobiles and food. Every aspect of clothing, food, shelter and transportation. Among them, there are a total of 67 brands in the apparel industry , including Nike, Adidas, Uniqlo, Senma, ZARA, VERO MODA, Converse, Li Ning, Jack Jones, and H&M and Chow Tai Fook who have just settled in Tmall this year. There are also 48 brands in the consumer electronics field of mobile phones and home appliances, including Apple, Midea, Xiaomi, Gree, Huawei, Glory, Cobos, Hisense, Dyson, Philips, Beats, etc. Some brands even broke through 1 billion and 2 billion yuan. . The home improvement industry also contributed 48 brands, including all-in-home, home-home, TaTa wooden doors, Genji wood, and Mercury home textiles. 31 brands in the beauty industry are shortlisted, including 28 brands in Lanjiao and Maternal and Infant, including Lancome, L’Oreal, Estee Lauder, Nature Hall, Winona, Yue Shi Feng, One Leaf, Schwarzkopf, Cotton Age, Hearts, Weilushi, Pampers, good children, etc. There are 8 brands in the food and beverage industry, including three squirrels, good shops, herbaceous, Maotai, Mengniu, Dayi, Gion, and Nestle. This year, the first time to enter the billion clubs, there are many new faces, such as Jordan, Commander, Vantage, Moony, Perfect Diary, Wis, Freeplus, Snow Show, Ya Meng, Ke Yanshi, Zhiyouquan, Maybelline, etc.